Rima Karaki: ‘I don’t feel like a hero. It was self respect.’ (screen shot). 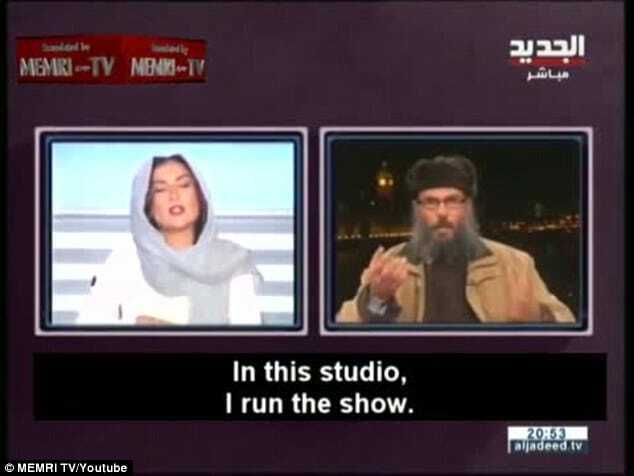 Rima Karaki a Lebanese tv host has been hailed in her fearless addressing of an Islamic scholar who took to condemning the anchor live on air with derogatory sexist remarks. 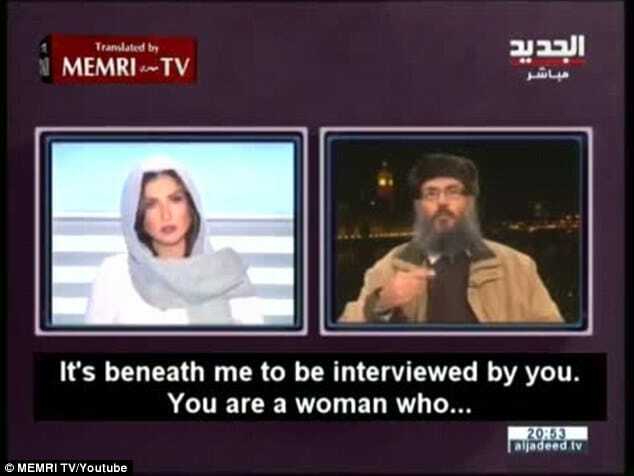 At the time Karaki was conducting an interview with London-based Islamist Hani Al-Seba’i for Lebanon’s Al Jadeed on the weekend of International Women’s Day, discussing reports of Christians joining Islamic groups when the scholar went off on a historical tangent. In the footage, Karaki urges the man to get back to the issues, before asking him another question, a request which sparks a heated argument. ‘It was at its peak during the 1970s, with the leftist revolutionary movement,’ he says. Again, Karaki tries to get Al-Seba’i back on topic, asking him to ‘focus on the present’. 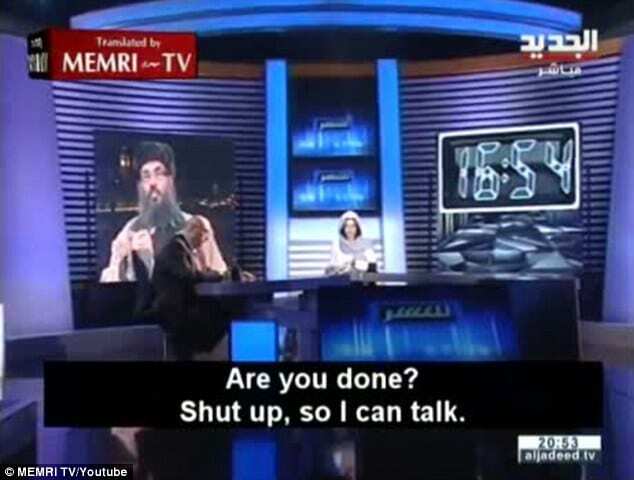 Karaki politely explains that they have limited time on the show, but Al-Seba’i refuses to listen, telling the TV host he would not be interrupted and that he will answer as he pleases. The host then lets the scholar know exactly who’s in charge. ‘In this studio, I run the show,’ Karaki says. It provokes an angry reaction from Al-Seba’i. ‘Are you done?’ he says. ‘Shut up so I can talk. ‘If you are going to elaborate so much, we won’t have time for other questions. ‘Now, it’s up to you. If we have time, you will answer all the questions,’ she says. With her palm facing the Sheikh, Karaki then delivers the ultimate end to the conversation. ‘How can a respected Sheik like yourself tell a TV host to shut up?’ she asks. The studio cameras then switch back to the studio leaving the Sheik in the dark. Karaki later posted a video of the conversation on her Twitter feed, which would go viral and garnering widespread support. The row comes as global views on women’s rights face more scrutiny than ever before. Last month, a manifesto – reportedly written by an all-women Islamic State militia – advised that nine is a good age to consider marriage for girls, who should have husbands by 16. It also said women must stay behind closed doors, be veiled and only leave the house in exceptional circumstances.